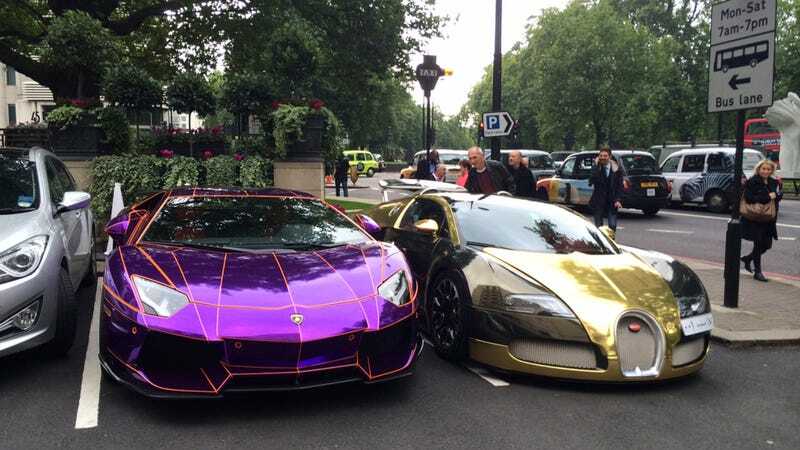 I dare you to find me two more ostentatious cars parked next to each other. I dare you to find me two more ostentatious cars parked next to each other. Come on. Do it. You can't. Photo credit and hat tip to Meredith over at io9!